Some of my highlights of being a dad have to be sharing a love of quality rock music with my boys, teaching them to ride their bikes and with Eli, teaching him to ride a unicycle. Today my joy went a bit further with my boyjie as we went unicycling together on the road and then turned off to ride around the disused farm dam near our house. Eli is super confident on his uni and to watch him riding in front of me is pure joy! 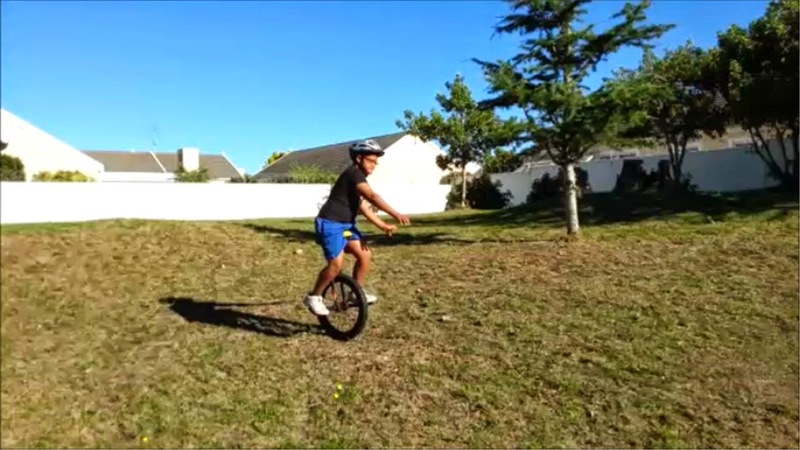 Unicycling with Eli is my happy place. Enjoy the video below of Eli riding. Excuse the poor quality of the 2nd part but I was trying to keep up with Eli whilst balancing in the wind and keep an eye on the traffic.